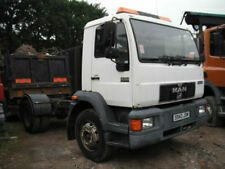 18 tonnes daf curtainsider low mileage 295000 kms great buy. 2011 year with 304,000 kms from new. Drives perfectly. 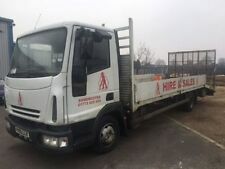 DAF LF 45-220, 2010 Reg, 22ft Curtainsider Truck, 12 Tonne GVW. High Roof Double Sleeper Cab. commercial vehicle exports - Call us on 441917315023 or click here to find out more. AXOR 1824, 240 HORSE POWER, 698,195 KMS, MANUAL GEARBOX, 4X2 REAR STEEL SUSPENSION, TAIL LIFT, BARN DOORS, SLEEPER CAB, MOT MARCH 2019, EXCELLENT CONDITION We can arrange shipping to any destination worldwide and can offer a variety of additional export and vehicle preparation services. Contact us today! **PLEASE FOLLOW US ON FACEBOOK, TWITTER & INSTAGRAM @EMRTRUCKSALES**. Full Lenth Dhollandia Tail Lift In Working Order. B.H.P. : 270. Drop Down Bunk. Year Of Manufacture: 2010. Milage: 456075. NCG Automotive Ltd - Visit us for a test drive - Call us on 441332943785 or click here to find out more. MOT'd until September 2018 . Price Reduced further for quick sale. 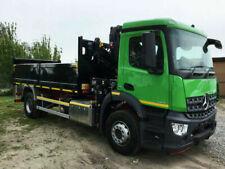 18 ton curtain side with tail-lift. Manual Gearbox. Drives faultlessly. Good tyres. 804670 kms. Cab is wrapped so can easily be stripped back to plain white. Privilege Cab, Opti-Driver Gearbox, Euro 5 Engine, Sliding 5th Wheel, Long MOT. IVECO EUROCARGO 180E24, 240 HORSE POWER, 24 FT BODY, CURTAINSIDER, TAIL LIFT, SLEEPER CAB, 876911 KMS, MOT AUGUST 2019, EXCELLENT CONDITION We can arrange shipping to any destination worldwide and can offer a variety of additional export and vehicle preparation services. Contact us today! **PLEASE FOLLOW US ON FACEBOOK, TWITTER & INSTAGRAM @EMRTRUCKSALES**. Here we have a clean 2014 Volvo FE 18 tonne 4x2 Curtain side Rigid. Sleeper Cab. The Curtain side body is 28ft x 8ft finished with barn doors. 28ft x 8ft Curtain side body. 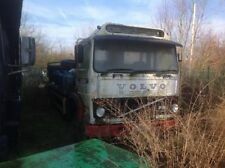 One Owner from New with full Volvo History.